In war, at least, she knew in whom she could trust. Now she can trust no one. The Firebird edition of Crown Duel combines the hardcover editions of Crown Duel and Court Duel-and features a never-before-published story by Sherwood Smith! Sherwood Smith started making books out of paper towels at age six. In between stories, she studied and traveled in Europe, got a Masters degree in history, and now lives in Southern California with her spouse, two kids, and two dogs. She’s worked in jobs ranging from counter work in a smoky harbor bar to the film industry. Writing books is what she loves best. 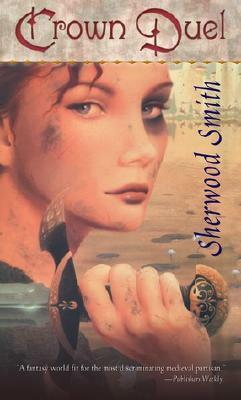 She’s the author of the high fantasy History of Sartorias-deles series as well as the modern-day fantasy adventures of Kim Murray in Coronets and Steel. Learn more at www.sherwoodsmith.net.